Badminton Horse Trials is one of the toughest and most exciting equestrian events in the world. Horses and riders complete the competition with a different discipline or phase each day. Horses and riders must complete a Dressage test demonstrating obedience, discipline, accuracy and elegance. They need to be fit and athletic to complete a four mile Cross Country ride jumping several solid man-made and natural obstacles within a set time. Finally, they must complete a course of show jumps designed to test their agility and accuracy at speed. The Royal Windsor Horse Show is a horse show held annually since 1943 for five days in May in Windsor Home Park. The show is the only one in the United Kingdom to host international competition for dressage, show jumping, carriage driving and endurance riding with over 130 showing classes. If you have travelled on any of our Snaffle Travel tours previously you will receive a repeat discount of $75.00 on this tour. Please contact us for a full itinerary with details and pricing to email info@snaffletravel.com.au or 03 5428 6061. On arrival in London meet your coach and transfer to your hotel. En-route you will enjoy a visit to Blenheim Palace with a tour of the Palace and gardens. Wander around at the Palace and gardens at leisure and enjoy some lunch at own expense. After lunch travel to your hotel and check in for the next five nights. This evening you will enjoy a welcome dinner at a local restaurant. (Airport transfer, entrance to Blenheim Palace & Gardens and dinner included). 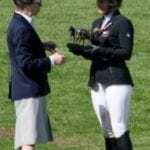 This morning after breakfast meet your coach and tour host and travel to Badminton Horse Trials. Today is the start of the dressage and after watching a few dressage tests, check out the cross country course and explore the shopping village. There is an optional course walk subject to availability. (Transfers and entry to Badminton Horse Trials included and dinner). This morning after breakfast meet your coach and tour host and travel to Badminton Horse Trials for the second day of the dressage. See local Aussie or NZ hero’s ride their tests with time to explore the trade stands and you might like to walk the cross country course. (Entry to Badminton Horse Trials included). This morning after breakfast meet your coach and tour host and travel to Badminton Horse Trials for the cross country. This is an exciting day with plenty of thrills and spills. See your local Aussie or NZ hero’s or some of the international riders tackle the cross country course. (Entry to Badminton Horse Trials included). This morning after breakfast meet your Coach and tour host and travel to Badminton Horse Trials. We depart the hotel early this morning to watch the trot up. Today is the final day of the show jumping. The leaders over night just have to take one rail and they may drop a place or to. So it’s nail biting stuff. Meet your driver at the planned departure point and travel back to the hotel. Tonight we will have a dinner at a local restaurant. (Entry to Badminton HT with seat in the grandstand for the show jumping and dinner included). This morning after breakfast meet your coach and tour host and visit the lovely ancient town of Bath en-route to London. Bath is a beautiful Georgian city with delightful crescents, terraces and architecture. We will meet our local guide on arrival and enjoy a walking tour around this lovely old town. The most popular attraction is the Roman Baths that were built nearly 2,000 years ago. See elegant honey-coloured crescents, beautiful Georgian squares and the delightful scenery along the banks of the River Avon. You’ll enjoy views of the famous Pulteney Bridge and Bath Abbey. Afterwards we travel to our hotel in London for the next four nights. This evening is at leisure. (Coach transfer to London & guided walking tour of Bath included). This morning after breakfast explore London. Some of the sights you will see from the hop on hop off bus are Buckingham Palace, Big Ben and Westminster, Trafalgar Square and London Tower to name a few. Changing of the Horse Guards at 11 am at St James Palace is also a favourite. Another option this evening is to attend one of the many shows on offer in the Westend. (London Oyster card and hop on hop off bus pass included). This morning after breakfast enjoy a visit to the Royal Mews with a behind the scenes tour as well as seeing the latest Royal State carriages. The rest of the day is free to explore London. A visit to St Pauls Cathedral or one of the many other sights in around London, a stroll through Hyde Park or browse through Harrods or one of the other famous department stores. (London Oyster card included and Royal Mews ticket). This morning after breakfast, enjoy a free day at leisure in London and perhaps take the train to Hampton Court or explore London more with a visit to Camden Markets. London has so much to offer with Museums, shopping and so much to explore. This morning after breakfast meet the coach for your travel to Windsor and spend the day at the Royal Windsor show at leisure. There are hack classes and top international show jumping to spectate. The Grand Prix dressage is on in the evening and you may see some of your favourite stars like Carl Hester or Charlotte Dujardin competing. (Royal Windsor Show tickets with evening ticket ). This morning after breakfast make your way to the Windsor Show and enjoy more highlights for the Show. Today enjoy the Driving Marathon in the Great park, hack classes and international Show jumping. You may even spot the Queen watching one of the classes. Perhaps in the afternoon visit Windsor Castle or explore the township. (Royal Windsor Show tickets with evening ticket). Today is our final day and you may to choose to have a sleep in or visit the local shops for some last minute shopping. We will leave the hotel before mid-day and enjoy a farewell lunch together at a special venue to be advised. After lunch we will travel to London Heathrow Airport for our flight back to Australia this evening. (Airport transfer and farewell lunch included).